Mr. Murphy practices in all aspects of labor, employment, education and business related immigration law. 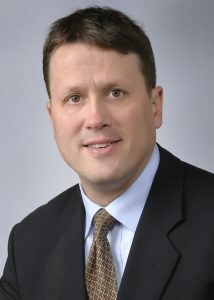 Mr. Murphy represents private and public sector employers in labor and employment law matters before state and federal courts, arbitration panels and administrative agencies, including the State Board of Labor Relations, State Board of Mediation and Arbitration, Commission on Human Rights and Opportunities, Equal Employment Opportunity Commission and Freedom of Information Commission. He regularly represents employers in collective bargaining negotiations, mediation and interest arbitrations and handles employee disciplinary matters including terminations and grievance arbitrations. Mr. Murphy represents boards of education in a wide range of matters, including student expulsions, transportation and residency hearings, in addition to conventional labor relations and employment matters. He dedicates a significant portion of his practice to counseling clients in all aspects of labor, employment and education law. He regularly handles workplace investigations, develops and revises employee handbooks and policy manuals, and counsels employers in hiring and termination issues. Mr. Murphy counsels employers on I-9 compliance issues and represents employers in business related immigration matters, including securing business visas for foreign nationals working in the United States. In addition to his years of private practice, Mr. Murphy previously served as the Municipal Prosecutor for the Borough of Roselle Park, New Jersey and joined the firm after serving the Connecticut State Department of Education as the Director of Legal and Governmental Affairs, where he served as General Counsel to the State Board of Education and the Commissioner of Education. Connecticut, United States District Court for the District of Connecticut, United States Court of Appeals for the Second Circuit, United States District Court for the District of New Jersey, United States Court of Appeals for the Third Circuit. Mr. Murphy is a frequent speaker locally and nationally on education, labor and employment and business immigration matters. He has spoken at events sponsored by the Connecticut Association of Boards of Education, National School Board Association and various other human resources and legal education organizations. Member: American, Connecticut and Hartford County Bar Associations; Connecticut School Attorneys Council (President, 2004); National School Boards Association; New Jersey Bar Association. Mr. Murphy has received a peer review rating of “BV Distinguished” from Martindale-Hubbell.